Jackie Y. Ying received her B.E. and Ph.D. from The Cooper Union and Princeton University, respectively. She joined the faculty at Massachusetts Institute of Technology in 1992, where she was Professor of Chemical Engineering until 2005. 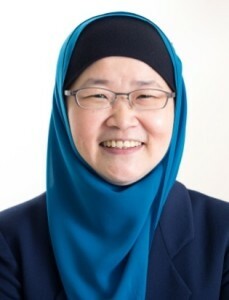 She has been the Founding Executive Director of the Institute of Bioengineering and Nanotechnology in Singapore since 2003. For her research on nanostructured materials, Prof. Ying has been recognized with the American Ceramic Society Ross C. Purdy Award, David and Lucile Packard Fellowship, Office of Naval Research Young Investigator Award, National Science Foundation Young Investigator Award, Camille Dreyfus Teacher-Scholar Award, American Chemical Society Faculty Fellowship Award in Solid-State Chemistry, Technology Review’s Inaugural TR100 Young Innovator Award, American Institute of Chemical Engineers (AIChE) Allan P. Colburn Award, Singapore National Institute of Chemistry-BASF Award in Materials Chemistry, Wall Street Journal Asia’s Asian Innovation Silver Award, International Union of Biochemistry and Molecular Biology Jubilee Medal, Materials Research Society Fellowship, Royal Society of Chemistry Fellowship, Crown Prince Grand Prize in the Brunei Creative, Innovative Product and Technological Advancement (CIPTA) Award, American Institute for Medical and Biological Engineering Fellowship, Academy of Sciences of Iran Medal of Honor, American Association for the Advancement of Science Fellowship, Singapore National Academy of Science Fellowship, and The Cooper Union Alumni Association Gano Dunn Award. Prof. Ying was elected a World Economic Forum Young Global Leader, and a member of the German National Academy of Sciences, Leopoldina. She was named one of the “One Hundred Engineers of the Modern Era” by AIChE in its Centennial Celebration. She was selected by The Muslim 500 in 2012, 2013, 2014 and 2015 to be one of the world’s 500 most influential Muslims. She was selected as an Inaugural Inductee for the Singapore Women’s Hall of Fame in 2014. She was the inaugural winner of the Mustafa Prize “Top Scientific Achievement Award” in 2015 for her research in bio-nanotechnology. The laureate of this science and technology award receives a certificate, an engraved medal and US$500,000 in prize money. She is the Editor-in-Chief of Nano Today, which has an impact factor of 15.000. Here are Jackie’s responses to questions about her career. What was it like to join the staff at MIT in 1992? What classes did you teach? Were women well represented, or underrepresented in these classes? It was very exciting to join the faculty at MIT in 1992. MIT has outstanding faculty and students. I taught chemical kinetics and reactor engineering, and heterogeneous catalysis. Women were well-represented at the undergraduate level at MIT, but were under-represented at the graduate level. When I first joined MIT, there was only one other Asian-American female faculty member. When did you develop an interest in nanotechnology? What discoveries have you made that you are particularly proud of. I started developing an interest in nanotechnology in 1990. When I was finishing my PhD at Princeton, I met Professor Herbert Gleiter at a conference, where he presented his pioneering work in nanocrystalline material. I took up a postdoctoral position with Professor Gleiter in Germany in 1991-1992. Since then, I have been working on nanostructured materials for various applications, in particular biomedical, catalyst and energy applications. The glucose-sensitive nanoparticles work that won The Mustafa Prize is very gratifying because this technology is now in clinical trial. These nanoparticles can auto-regulate the release of insulin depending on the blood glucose levels. This drug delivery system bypasses the need for blood glucose monitoring with finger pricks, and allows insulin to be delivered orally or by nasal passage, instead of through injection. I co-founded SmartCells, Inc. with my PhD student at MIT to commercialize this novel nanomedicine. This spin-off company was acquired by Merck in 2010, with potential aggregate payments in excess of USD 500 million. This technology would greatly benefit diabetic patients by helping to prevent hyperglycemic and hypoglycemic conditions and the associated organ damage. But I am most excited about the work we are doing now at IBN. We have a diverse group of people working in four research areas. One is nanomedicine, where we look at how we deliver drugs, how we create nano-sized materials as medicine themselves. Besides delivering drugs, we can also deliver consumer care products, skincare products, food and nutrition, and active ingredients. The second area is synthetic biosystems. We are trying to develop new tissue scaffolds so that cells can be seeded on them and they can be used to create a tissue scaffold that could be implanted into the body. We can also create synthetic cell culture substrates to grow large quantities of cells inexpensively for tissue engineering and regenerative medicine. The third area is biodevices and diagnostics, and we are trying to develop nano and micro devices so that they are much more miniaturized than what is currently available for doing diagnostics and drug screening. The last area is green chemistry and energy, and we do a lot of chemistry with nanomaterials that could allow us to catalyze reactions that would synthesize pharmaceuticals, convert biomass to various chemicals, as well as pharmaceuticals. We are also developing new nanocomposite materials for fuel cell and battery applications. We hope that these technologies will have a great impact on our society. What brought you to Singapore to found the Institute of Bioengineering and Nanotechnology (IBN)? I was raised in Singapore between age 7 to 15 before moving to New York, and have many fond memories of Singapore. When I was at MIT, I chaired the Singapore-MIT Alliance Program in Molecular Engineering. During the course of this graduate program, I met Mr Philip Yeo (former Chairman of Agency for Science, Technology and Research, Singapore). In 2002, he visited me in the US, and asked if I wanted to set up the Institute of Bioengineering. I counter-proposed, asking if the institute could also focus on nanotechnology. So this was how the Institute of Bioengineering and Nanotechnology was founded in 2003. Our institute is quite different from most academic and research institutes because the research staff and students have very diverse background in science, engineering and medicine. We work together on interdisciplinary projects to tackle problems in biomedicine. We have published over 1,100 papers in leading scientific journals, and filed over 500 patents on our inventions, of which 87 have been licensed. Our technologies have also led to 9 spin-off companies. What do you enjoy most about being a director of a major research institute? As the executive director of IBN, I can shape the direction of research at the interface of bioengineering and nanotechnology in exciting multidisciplinary directions. My main job is to recruit excellent researchers, both locally and overseas, from different disciplines to work together on complex problems. Today, we have about 150 staff and 20 graduate students. We have engineers – chemical, biological, mechanical and electrical, and also chemists, biologists, materials scientists, pharmacists and medical doctors. It takes a lot of efforts to recruit the right researchers who are talented, energetic and dynamic, and at the same time, good team players who want to work with experts from different fields. We have created a nurturing environment that fosters strong internal and external collaborations. We also started a youth research program in 2003 to get young people excited about research. It’s one thing to do research well, but we want the younger generation to do better than us. We have reached out to close to 95,000 students though open houses, workshops and seminars. In particular, over 2,200 students have done research attachment for at least one-month full-time in our labs. They get to design and conduct experiments, analyze results and present their findings. Many of them go on to pursue further studies and careers in science, engineering and medicine. We are really proud of this program because the original goal was just to expose young people to research – and it has had a great impact alongside our research. This entry was tagged Gano Dunn award, Hall of Fame, Institute of Bioengineering and Nanotechnology, Jackie Ying. Bookmark the permalink.